Obama Hints Trump Has "Mommy Issues" [VIDEO] - Joe.My.God. 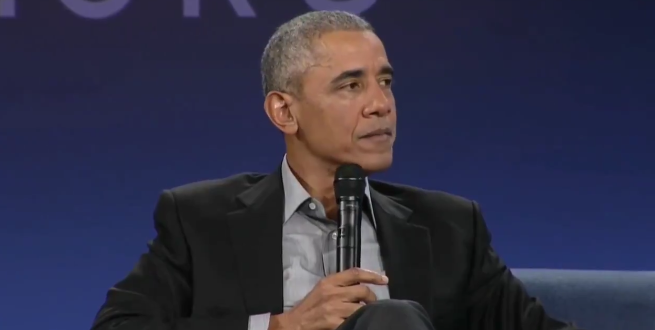 Former President Barack Obama said “racism” and “mommy issues,” among other contributors, were limiting the country’s ability to make progress on everything from education to climate change. The crowd laughed following Obama’s remark, which came as he was explaining why he thought less was being done to combat climate change. A decade after he called the working-class “bitter,” President Obama is still trashing millions of Americans who disagree with him.